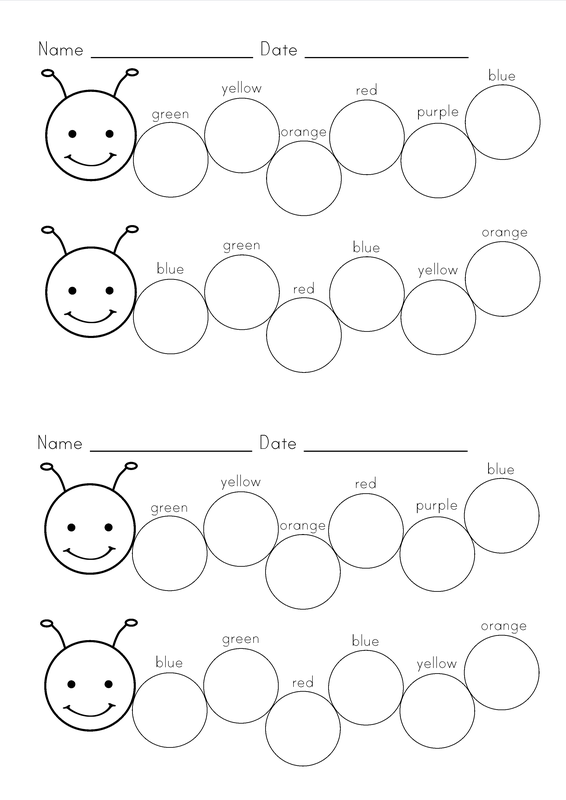 These first two are Quiet Time Worksheets for kids to work on individually. You could also keep a few of these on standby in a “Fast Finisher Box”, for any students that finish other work too quickly. 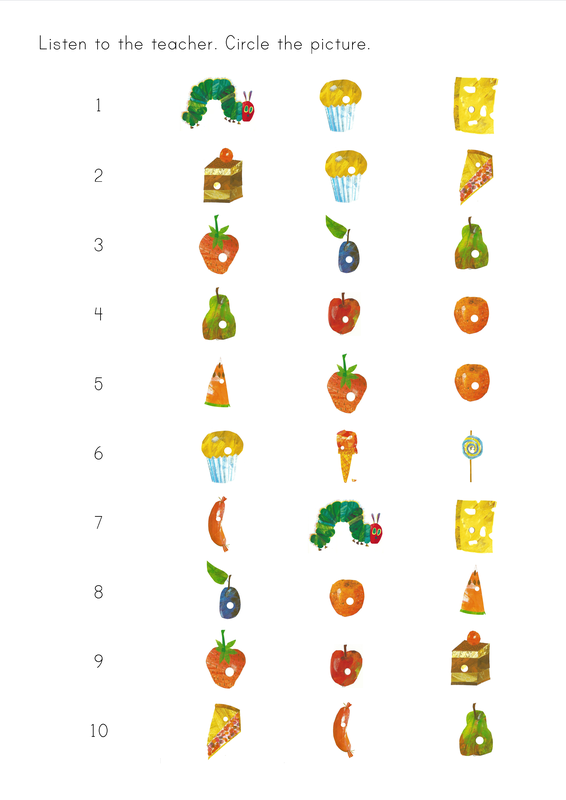 Students read the number and draw the correct number of circles on the caterpillar. 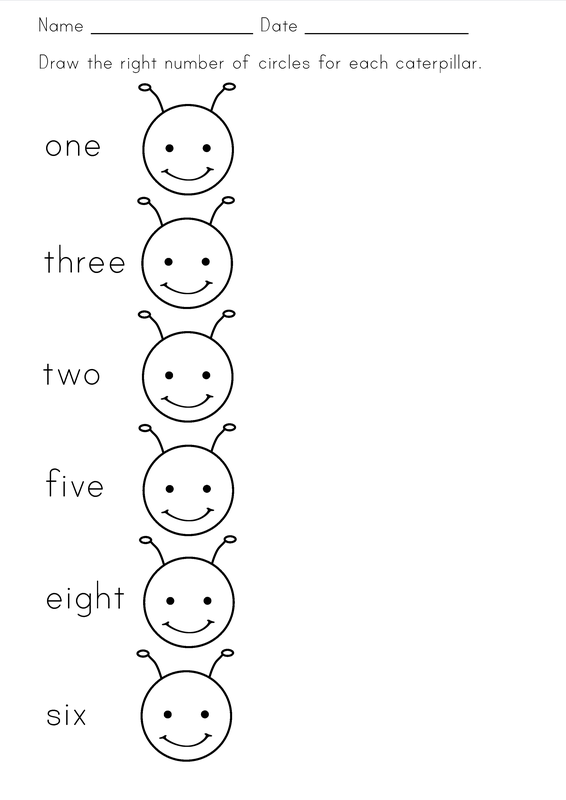 Practising and/or assessing listening skills – teacher says, “Number 1 is caterpillar.” Students circle caterpillar. Laminate and cut cards. Give each student one card, a whiteboard marker/felt-tip pen, and a piece of tissue for erasing. Call out words, marking them on a piece of paper as you do, so you don’t forget what you’ve called. 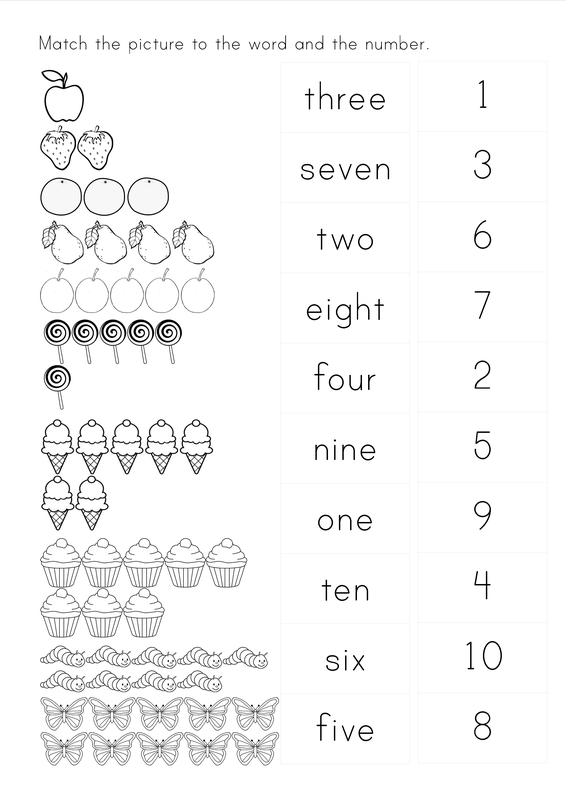 This helps you to check the winning student’s card for mistakes in listening. Students circle the picture or put a cross next to it. The winner is the first one to mark all five pictures on their card. Erase markings and play again! If you have more than ten (so, the other 99% of us! 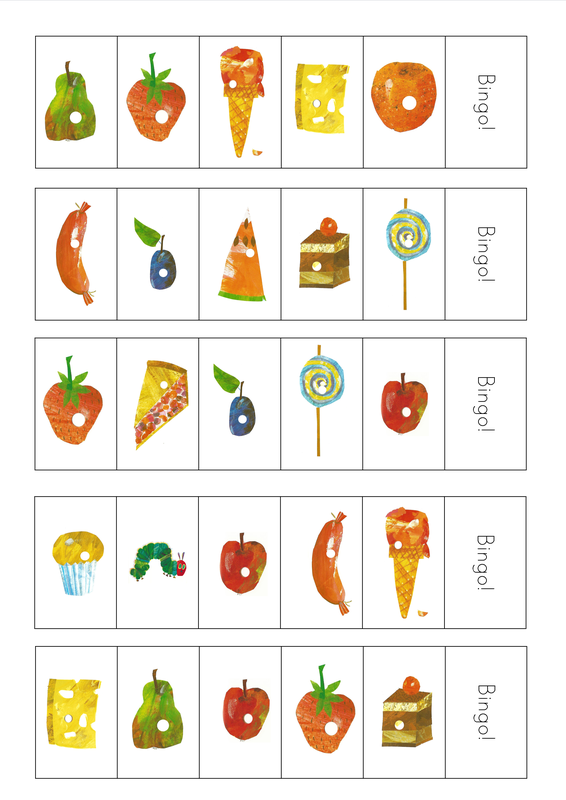 ), give one card to each pair of students, or divide students into groups of 11 and have them play within their group – the 11th student is the “Caller”. 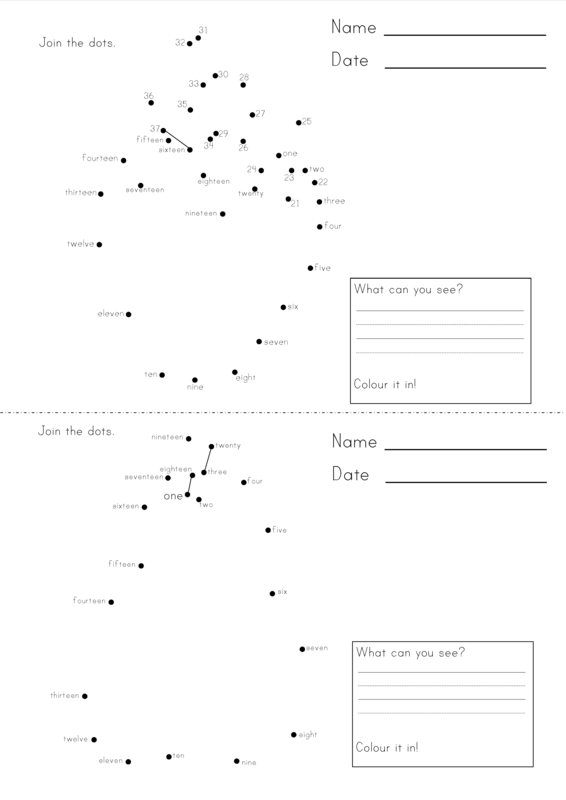 Another alternative is to give students a blank grid and ask them to choose five items from the book to draw onto the grid. Play as usual. 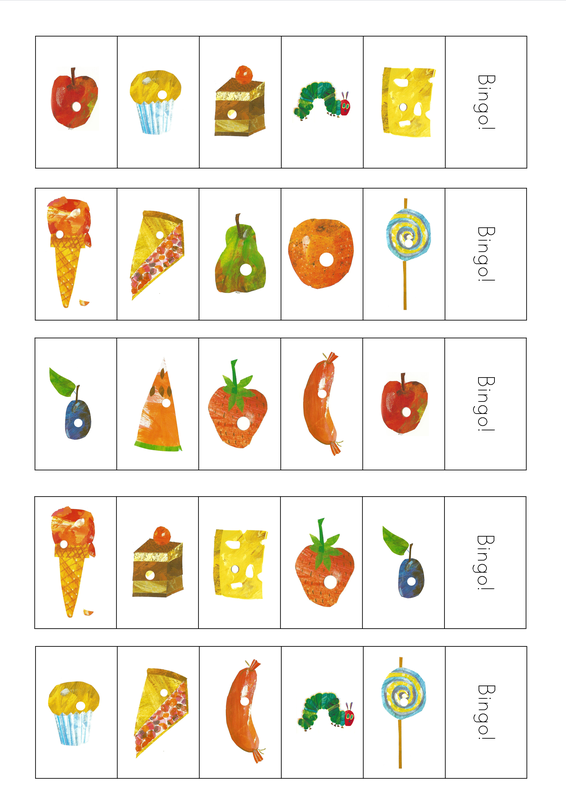 This entry was posted in Classroom games, Listening resources, Vocabulary resources and tagged Bingo, colours, Eric Carle, food, fruit, matching activities, numbers, vocabulary, worksheets. Bookmark the permalink. I love your site! Many thanks for the wonderful resources!